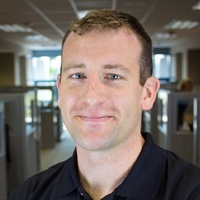 Mounting centrifugal pumps in a vertical configuration certainly has its benefits. It can provide a much smaller footprint, and it makes sense for inline pumping applications. 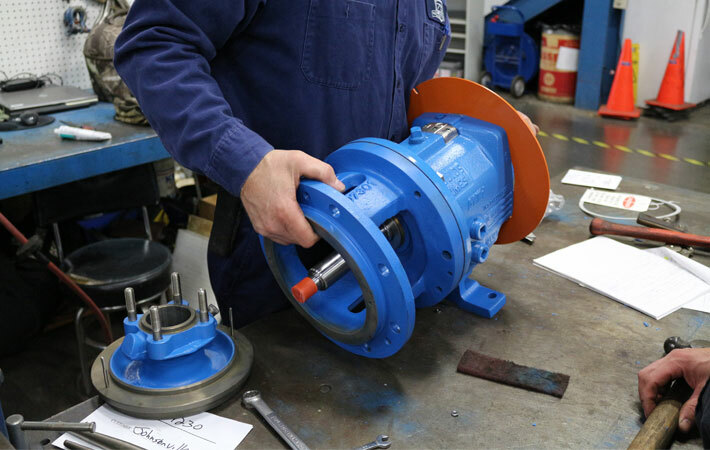 But before running a centrifugal pump vertically, it is important to review the environment that the seal will see. 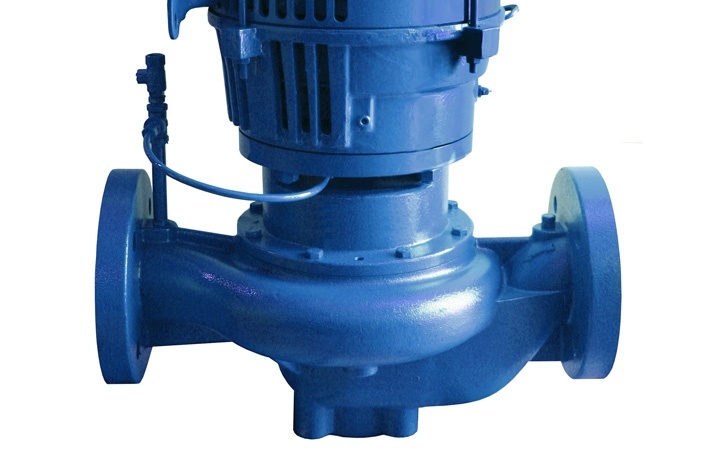 Fluids with high amounts of dissolved gases or entrained air can cause serious problems for vertically mounted centrifugal pumps. Air bubbles in the fluid tend to rise and could accumulate in pump's stuffing box area depending on pump design and process conditions, creating a potential for. This will prevent fluid properly lubricating the mechanical seal, running it dry. 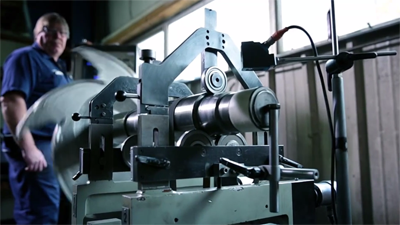 Mechanical seals need a small amount of fluid between the seal faces to operate properly. The fluid vaporizes creating a barrier between the faces and reduces friction between the faces. The fluid is also needed to help dissipate heat created by the seal faces. 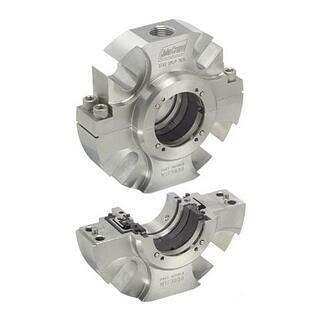 Without it, mechanical seals can experience thermal shock, coking, heat checking, and blistering of the seal face. That doesn't mean mounting in this configuration is impossible. To ensure the mechanical seal does not run dry, consideration should be taken for air that is potentially in the stuffing box. 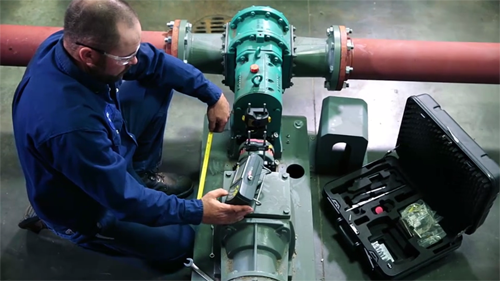 During selection of a pump it is important to speak with an engineer, who knows pumps and mechanical seals, for a recommendation on the proper venting and flush plan for your application. A venting procedure at start-up could be as simple as opening a valve on a line coming of the stuffing box area to give a low pressure area for it to go. Another option is a permanent line that allows for movement of any accumulated air and process fluid in this area. A common flush plan for this application is API Plan 13. 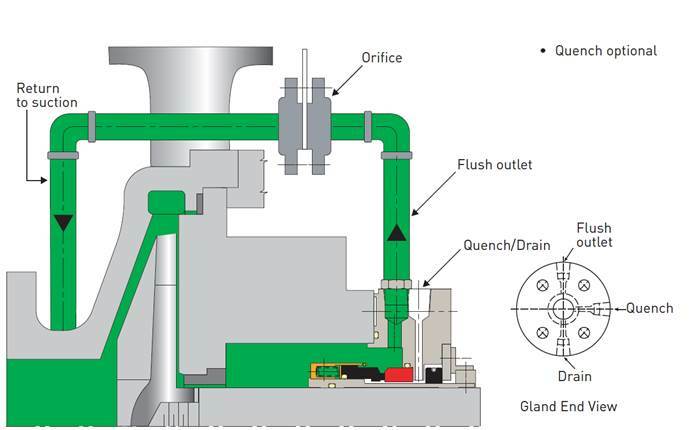 This flush plan recirculates product from the seal chamber back to the pump suction. This creates a pressure differential that promotes circulation and the evacuation of air through the process fluid. In vertical mounting applications, it is important to provide an environment for that seal that will provide a long life and reduce downtime. If you’re unsure, be sure to contact an engineer who understands the complications that can come with this configuration. Need help? Ask us about it! We gladly provide technical assistance to businesses and municipalities in Wisconsin and upper Michigan.